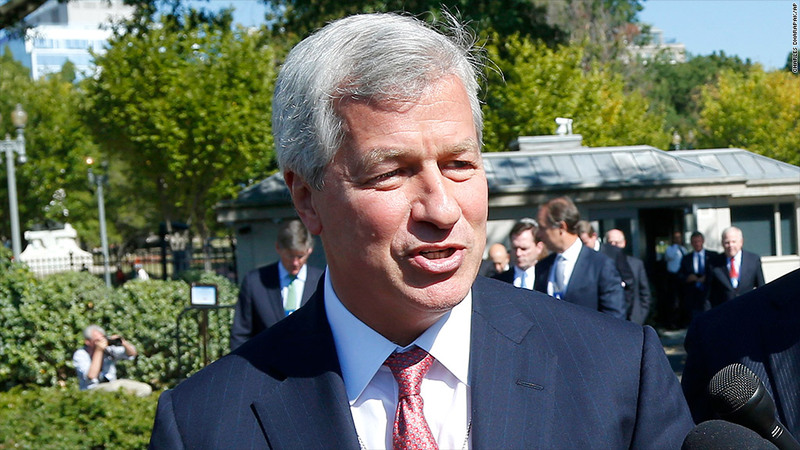 JPMorgan Chairman and CEO Jamie Dimon at a meeting at the White House in October with other bank chiefs. S&P estimates major banks could be hit with more than $100 billion in additional legal costs and penalties due to problem mortgages. U.S. banks might still be on the hook for more than $100 billion in additional fines and legal costs over bad mortgage loans sold during the financial crisis, according to a new estimate from credit rating agency Standard & Poor's. But despite that massive cost, which would dwarf the fines and costs they have faced to date, S&P believes the banks have the financial wherewithal to pay out those claims. It does not anticipate downgrading the credit ratings for the banks with the largest exposure. The cost estimate for the legal expenses ranges from $55 billion to $105 billion, according to the note. But S&P admits it made the estimate using a "significant amount of simplifying assumptions," and that the final cost could fall either below or above that range. The note published Tuesday estimates that the major banks -- Bank of America (BAC), Citigroup (C), Goldman Sachs (GS), JPMorgan Chase (JPM), Morgan Stanley (MS) and Wells Fargo (WFC) -- together are already on the hook for more than $45 billion of payouts since 2009, and have incurred legal expenses of $50 billion. All the banks bundled home loans into mortgage-backed securities during the last decade's housing boom and sold those securities to investors, including government-backed mortgage finance firms Fannie Mae and Freddie Mac. When it turned out that underwriting standards for those loans were lax and foreclosure rates started to soar, it caused massive losses for those holding the securities -- and a meltdown in the financial system that proved to be one of the root causes of the Great Recession. But S&P points out that the six banks, along with PNC Financial (PNC) and US Bancorp (USB), have reported $94 billion in combined 2012 pretax earnings. It also estimates they have a combined $155 billion "buffer," set aside to absorb losses from a range of additional mortgage-related and other legal exposures. In addition, they have a combined capital cushion of another $95 billion to weather possible additional legal costs. The largest single settlement to date was JPMorgan Chase's $13 billion deal announced last week with the Justice Department. That settlement includes a $4 billion fine it agreed to pay in October to settle claims about mortgages sold to Fannie Mae and Freddie Mac.